Allie LeClaire – A star at Green Bay Notre Dame and the University of Wisconsin-Green Bay, she most recently played professionally in Ireland. Jessica Lindstrom – The first-team Horizon League selection at UWGB holds the Phoenix record with 1,030 career rebounds (Division I era) and was a standout at Superior High School. Julie Wojta - A second-team All-American at UW-Green Bay with eight years professional experience. Former Horizon League Player of the Year played at Mishicot High School. For three days, the UW-Green Bay, Marinette Campus will feature the extensive work of students’ research in the public event, Best of the Bay. All presentations will take place in the cafeteria from Noon to 1 p.m., Main Building, 750 W. Bay Shore St. in Marinette. On Wednesday, May 1, the Marinette Campus invites members of the community to “Posters by the Bay.” More than 40 students from different classes will display and discuss posters they created based on independent research projects. Students have been working outside of class to deepen their understanding of topics related to courses in Geography, Biology, Spanish, and Gender Studies. Topics for posters will include “Images of Wisconsin and The UP,” “Community Gardens,” “Variations of Spanish Spoken in the United States,” and “Women and STEM Education.” The event will be held at noon in the Main Building hallway and classrooms. Thursday, May 2, the the Marinette Campus will hold a public reading to celebrate the release of the Spring 2019 edition of Northern Lights, the campus literary and arts journal. Spearheaded by the Marinette campus Creative Writing Club, Northern Lights features poems, essays, photos, and artwork by students and faculty/staff. The event will feature contributors reading from or discussing their work. Attendees will receive a free copy of the journal. The event will be held at noon in the campus cafeteria. This entry was posted in News and tagged Marinette Campus, research on April 24, 2019 by Sue Bodilly. Catherine Lundoff, award-winning LGBT author and publisher, will be at UW-Green Bay’s Pride Center on Friday, April 26, 2019 at noon. Prior to her appearance at UntitledTown, you can hear her read from her speculative fiction. Also learn about Queen of Swords Press, LGBT-inclusive science fiction and fantasy. This event is brought to you by the UW-Green Bay Pride Center and the English program. All UW-Green Bay students, staff, alumni and friends are welcome. There will be light refreshments available. This entry was posted in News and tagged Pride Center on April 24, 2019 by Sue Bodilly. Please take time to complete the candidate feedback form for the Provost Search at no later than the end of business on Thursday, April 25. The Search and Screen Committee will be meeting on Friday to discuss the candidates and your feedback is important to the process. As to next steps of the process, the committee will submit to Chancellor Gary L. Miller areas of strengths and weaknesses for each candidate with the intent of presenting at least two unranked final candidates who the committee believes offer the strongest set of experiences, competencies and attributes to serve as the next provost and vice chancellor for academic affairs. An announcement naming the new leader will be made as soon as feasible with the goal for the new provost to begin work in the summer. “The First Amendment and Trademark with Simon Tam” will be taking place on Sunday, April 28, 2019 at 2 p.m. in the Phoenix Rooms located in UW-Green Bay’s University Union. Join in on a conversation with Simon Tam, founder of the world’s first all-Asian American dance rock band, The Slants. Little did Simon know that the band’s ordinary trademark application would become an eight-year journey for self-identity and would lead him to the Supreme Court as a litigant in Matal v. Tam. This entry was posted in News on April 24, 2019 by Sue Bodilly. About 400 undergraduate researchers from across Wisconsin will descend on Titletown Thursday and Friday, April 25-26 for the Undergraduate Research, Scholarly and Creative Activity (URSCA) Symposium. UW-Green Bay is the host for the second consecutive year. The event includes Lambeau Field Tours and a stop at the Titletown District beginning at 2 p.m. Thursday, April 25 and a full day of poster sessions, oral presentations and discussions on Friday, April 26 at the Green Bay campus. The event is free and open to the public. More here. This entry was posted in Announcements on April 23, 2019 by Sue Bodilly. 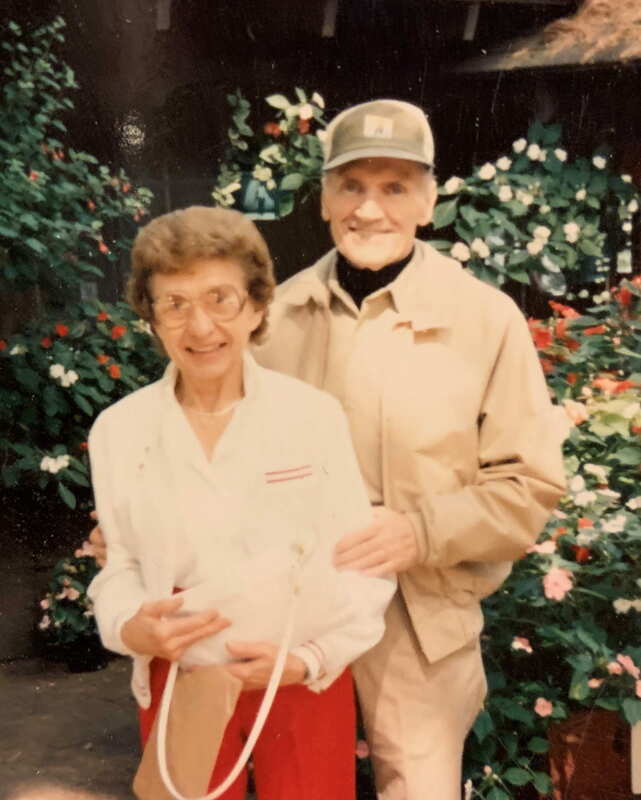 Green Bay, Wis. — As announced on April 23, 2019, the University of Wisconsin-Green Bay Foundation received notice of a sizeable gift from The Ronald C. and Pauline P. Heim Charitable Fund: A fund of the Greater Green Bay Community Foundation. The UW-Green Bay Foundation expects to receive about $75,000 annually, which will be designated for scholarships in the name of Ron C. and Pauline P. Heim. According to the Community Foundation press release, Mrs. Heim established the endowed fund to assure selected nonprofits receive critical annual support in perpetuity. The support is projected to reach in excess of $800,000 each year across our community. The University of Wisconsin-Green Bay is a comprehensive public institution offering undergraduate, graduate and doctoral programs to nearly 8,000 students with campus locations in Green Bay, Marinette, Manitowoc and Sheboygan. Established in 1965 on the border of Green Bay, the University and its campuses are centers of cultural enrichment, innovation and learning. The Green Bay campus is home to one of the Midwest’s most prolific performing arts centers, a nationally recognized 4,000-seat student recreation center, D-I athletics, an award-winning nine-hole golf course and a five-mile recreational trail and arboretum, which is free and open to the public. This four-campus University transforms lives and communities through student-focused teaching and research, innovative learning opportunities, powerful connections and a problem-solving approach to education. UW-Green Bay’s main campus is centrally located, close to both the Door County resort area and the dynamic economies of Northeast Wisconsin, the Fox Valley region and the I-43 corridor. UW-Green Bay offers in-demand programs in science, engineering and technology; business; health, education and social welfare; and arts, humanities and social sciences. For more information, visit www.uwgb.edu. This entry was posted in News Releases on April 23, 2019 by Sue Bodilly. Green Bay, Wis. — In the world of entrepreneurship, the University of Wisconsin-Green Bay and the University of Wisconsin System today announced a first-round draft pick with the addition of Noodles & Company founder and former Chairman/CEO, Aaron Kennedy, to the TitletownTech leadership team. Kennedy was named Entrepreneur-in-Residence by UW-Green Bay Chancellor, Gary L. Miller, effective immediately. The announcement was made in conjunction with announcements pertaining to other key TitletownTech developments announced by the Green Bay Packers organization. Kennedy, a UW-Madison MBA ‘89 joins UW-Green Bay alumnus, Craig Dickman ‘82 (Business Administration), TitletownTech’s managing director, in establishing an entrepreneurial game plan for the unique partnership with UW-Green Bay, the UW System, the Green Bay Packers and Microsoft. Prior to starting Noodles & Company in 1995, Kennedy worked at a New York brand design firm where he directed projects on some of the largest and most recognized consumer brands in the world including Coca-Cola, Burger King, Sears, Swiss Army Products, The Limited family of stores and the PGA (World Golf Hall of Fame). Prior to that, he was brand manager at Pepsi Cola and market research manager at Oscar Mayer Foods. When Kennedy concluded his 15 years of building Noodles & Company as Founder/CEO/Chairman in 2008, the company had 170 locations in 15 states. He has spent the last 11 years as a board member for Sartori Cheese (Plymouth, Wis.), Sterling Rice Group, and Modern Market Eatery, and served as an advisor to Silver Oak Winery, Mad Greens, Larkburger, Maria Empanada, Napa Valley Vintners Association and 34° Crackers, as well as a mentor/advisor for Colorado business accelerators like Blackstone Entrepreneurs Network, Boomtown and MergeLane. 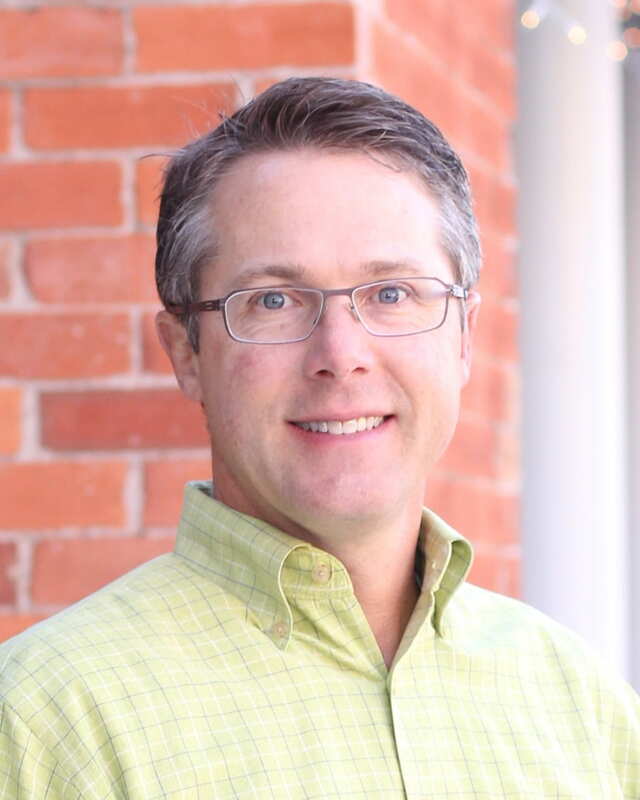 He also served as chief marketing officer for the State of Colorado from 2012-2014. Kennedy serves on the board of the University of Wisconsin Business School, has been named Entrepreneur of the Year by Ernst & Young, and is a guest lecturer at several universities including the University of Colorado, University of Denver, Harvard University and the University of Wisconsin. In July 2018, UW-Green Bay and the UW System announced plans to team up with the Green Bay Packers and Microsoft in a unique partnership to help launch new companies in Wisconsin and strengthen the state’s entrepreneurial ecosystem. Under the partnership agreement, the UW System is making a four-year commitment to the University of Wisconsin-Green Bay to fund the UW-Green Bay/UW System Entrepreneur-in-Residence (EIR) at TitletownTech. Kennedy will be an employee of UW-Green Bay and a member of the TitletownTech leadership team. According to Miller, he will work in collaboration with the UW-Green Bay Cofrin School of Business to educate and provide guidance in business development and operational areas, as well as work with the UW System’s Economic Development Office to generate collaborations with all UW System institutions. TitletownTech is an initiative that will bring world-class digital innovation and expertise to the region. It is headquartered in Titletown, the development west of Lambeau Field, in a state-of-the-art building home to the TitletownTech Venture Studio, TitletownTech Innovation Lab and TitletownTech Fund. Kennedy will work onsite at TitletownTech in conjunction with the Packers-Microsoft management team to advance entrepreneurial opportunities in the region and help organize and make available entrepreneurial resources on other UW campuses. The Green Bay Packers and Microsoft intend that TitletownTech will help the region’s emerging and existing businesses define and build new digital products, transform their operations through technology, and provide capital to launch new ventures. In addition to Kennedy, Cordero Barkley ’09 and ’16 (Business Administration, Master’s of Management) was named TitletownTech’s director of finance and investments. Barkley has a background in wealth management and banking with prior experience at Associated Bank and Wells Fargo. In 2018, he was named a recipient of UW-Green Bay’s Outstanding Recent Alumni Award. TitletownTech Venture Studio, working with early-stage companies to help create new digital products and services. TitletownTech Innovation Lab, working with established businesses to co-locate teams at TitletownTech to develop new digital technology products and services. TiteltownTech Fund, working to underwrite operation of the Studio and Lab, and invest in companies that participate in the programs, as well as potentially other regional startups. The University of Wisconsin System serves more than 170,000 students. Awarding 36,000 degrees annually, the UW System is Wisconsin’s talent pipeline, putting graduates in position to increase their earning power, contribute to their communities, and make Wisconsin a better place to live. More than 80 percent of UW System graduates stay in Wisconsin five years after earning a degree. The UW System provides a 23:1 return on state investment. UW System institutions also contribute to the richness of Wisconsin’s culture and economy with groundbreaking research, new companies and patents and boundless creative intellectual energy.